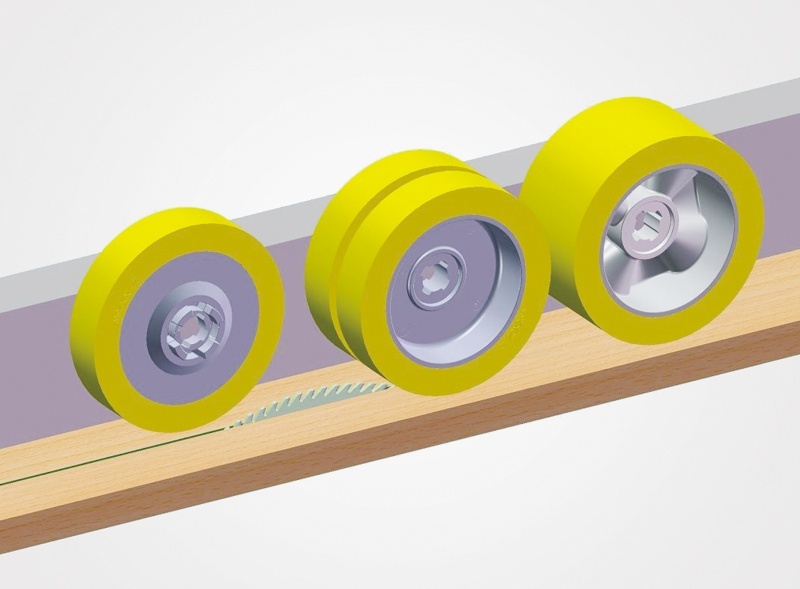 These thin power feeder wheels are used exclusively with the DC Servo Variable Speed Power Feeders and Wegoma Variable Speed Feeders. 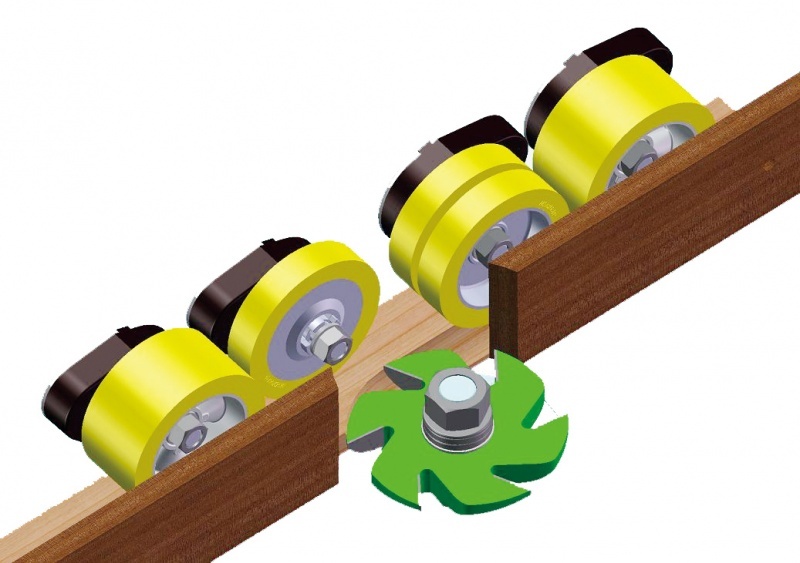 Use these rollers to straddle a saw blade or to create cutter clearance when running a DC Feeder on a shaper. Can be used on your power feeder at the same time with GU12 Poly. 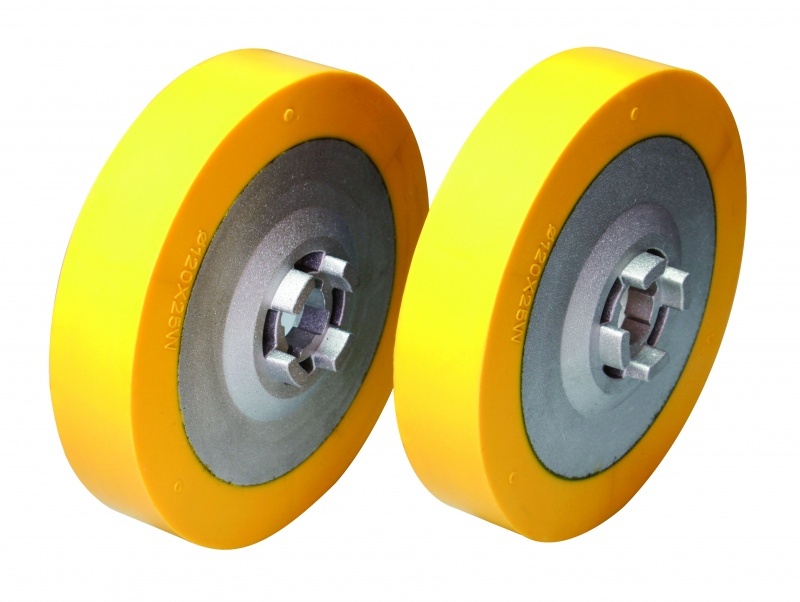 Feeder Wheels & GR12 Feeder Wheels depending on your application.